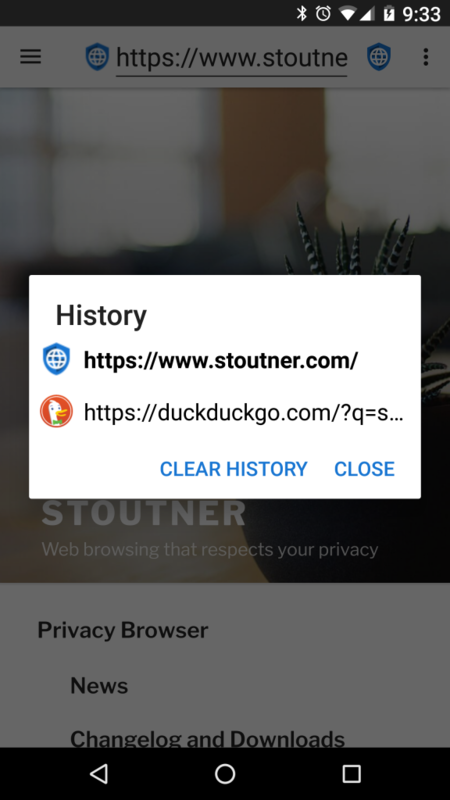 Privacy Browser 2.3 has been released. It fixes a longstanding bug that caused redirects to be included in the WebView history. This made it difficult to use the back button to return to the previous website if there was one (or more) redirects that led to the current page. A feature has been added to disable the loading of images to conserve bandwidth. There is a general system settings, an on-the-fly setting, and controls in domain settings. The WebView has been changed to use a wide viewport, which fixes the layout of some web pages. 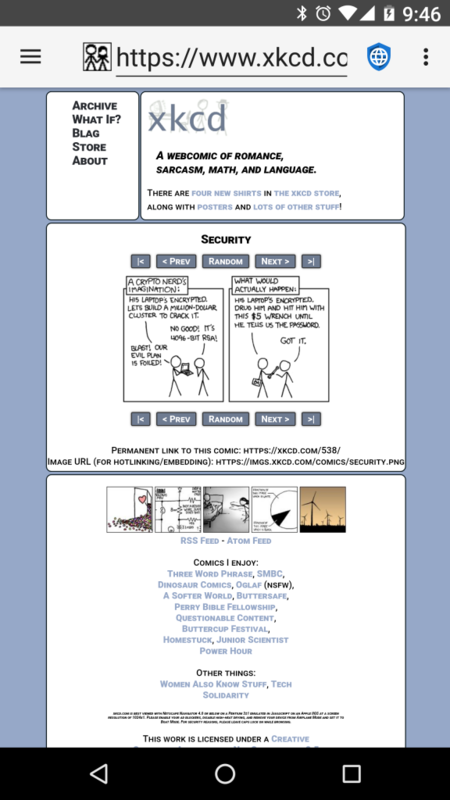 For example, prior to the fix, XKCD comics would extend beyond the viewable area of the page. 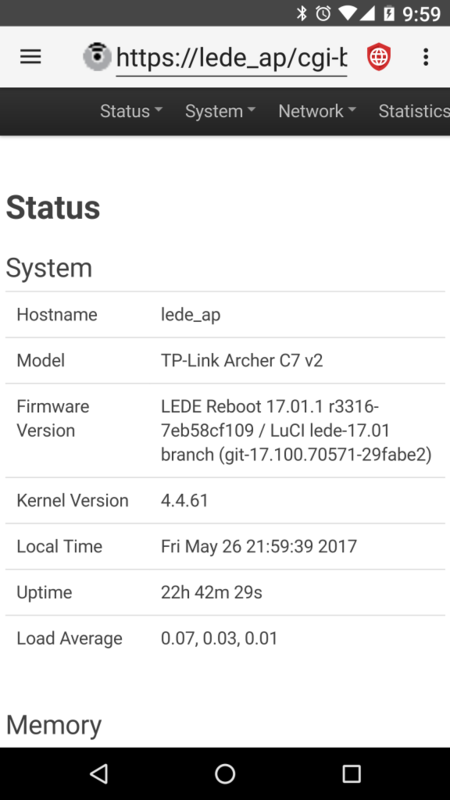 It is now possible to load host only URLs. Previously, if the URL text box did not contain a FQDN (Fully Qualified Domain Name) or the word localhost a search would be performed. 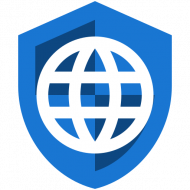 With this change any text that begins with http:// or https:// will be loaded as a URL. This removes the previous behavior of loading any text that contained localhost as a URL, which means that a search can now be performed from the URL text box that contains the term localhost. The settings activity now contains icons next to each preference, which in many cases change color based on the status of the item. 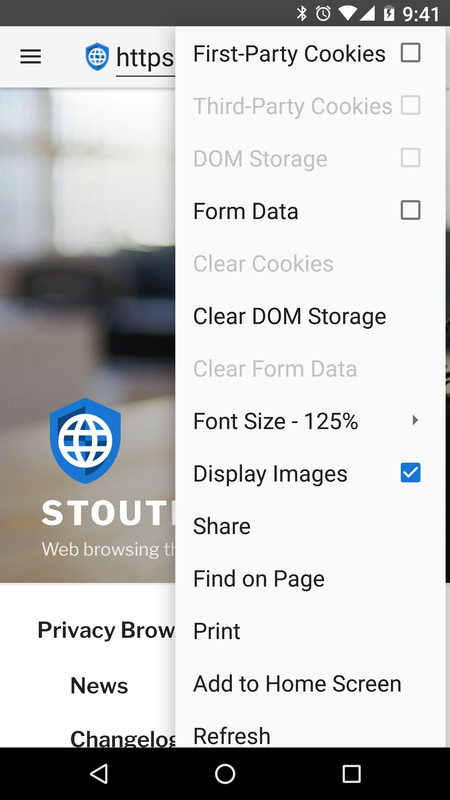 The web page title is now prepended to the URL when shared through the options menu. The third-party cookies preference is now disabled on KitKat in the settings activity because it only works on Lollipop or newer. It had previously been hidden from the options menu and domain settings. Refresh has been moved to the bottom of the options menu to make it easier to find. As usual, an updated Italian translation was provided by Francesco Buratti and an updated Spanish translation was provided by Jose A. León. The next release of Privacy Browser will contain a dark theme option as well as several other features from the high priority list.